EA sent out a press release today to let everyone know that the demo for Dead Space 3 will be available starting Jan. 22 on Xbox 360 and PS3. Unless you go to demo.deadspace.com and sign up for early access, in which case you&apos;re going to get access a week earlier, on Jan. 15. And that only applies to Xbox 360 gamers. Curse Microsoft and its deep pockets! In the demo, players will be thrust into deep space terror when unwilling hero – Isaac Clarke – and all-new co-op companion – Sergeant John Carver – crash land on Tau Volantis, an unforgiving ice planet teeming with Necromorphs. Dead Space 3 takes the franchise&apos;s core elements of suspense, horror, action and sound and introduces them to all-new elements – including co-op play - that allows players to work together to take down the most ambitious Dead Space experience yet. Play the demo yourself and find out for certain whether Dead Space is still a horror game, or if it&apos;s more of an action shooter at this point. 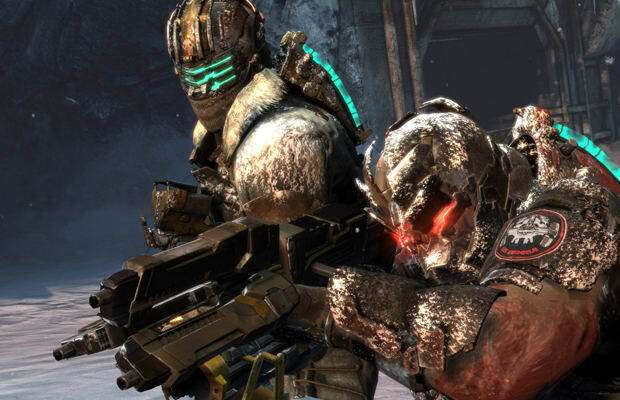 Dead Space 3 drops from orbit on Feb. 5.